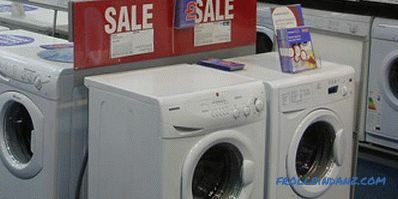 A lot of washing machines are placed in the spacious halls of home appliances stores. They have a different design and functionality, and each of them looks modern and aesthetically pleasing, promising to be a true helper for washing. 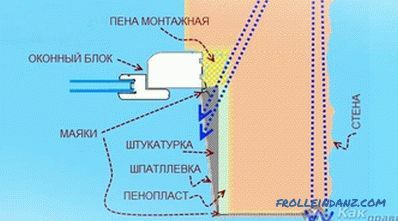 And you have to break your head over the choice, deciding, for example, which washing machine is better - with frontal or vertical loading. Without testing the model in action, it is difficult to understand which of them will be more convenient to use, while doing the laundry perfectly and saving electricity. Well, I rarely want to look into the service. Well, let's see what is the difference between CM with different types of loading and which one is better to choose. 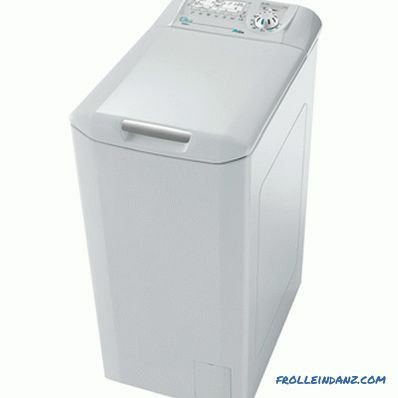 Any automatic washing machine can be either front or vertical. The latter is distinguished by the fact that laundry items are placed on top. 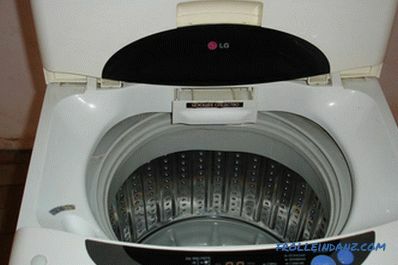 To do this, the top cover is folded back and the laundry is loaded into a special hatch in the drum. During the wash this hole should be closed. 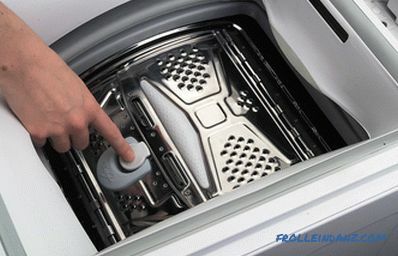 The frontal type of washing machines involves the loading of dirty things (and unloading washed) through a special hatch. 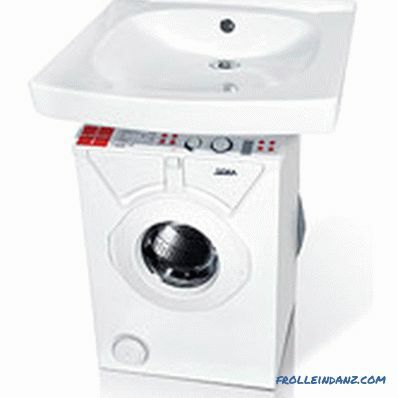 It is located on the front plane of the washing machine. 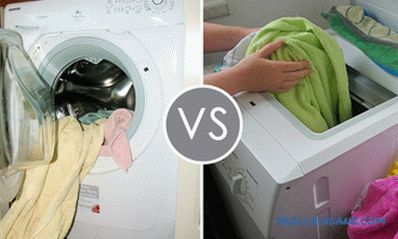 Both professionals and end users find no fundamental difference in the quality of washing with these two types of machines. That is, their main mission and those and other devices perform in good faith. So it’s too early to draw conclusions - before we compare the advantages and disadvantages of different types of washing machines. The front models are more versatile, as they can be produced in various sizes. But it should be remembered that for pulling out and loading things in front of them, you must provide free space. Conventionally, these machines are divided into 4 sizes. 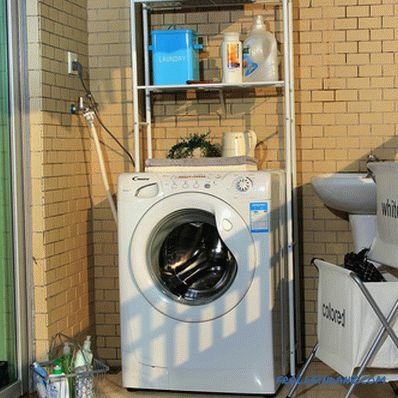 Vertical washing machines are not distinguished by a variety of sizes. Their height is from 80 to 85 cm, depth is 60 cm, and width is 40 cm. As you can see, they are somewhat narrower than devices of the frontal type. It is also good that they do not need extra space when loading clothes and opening the door. After all, linen is placed on top - just lift the top panel or open the lid on the drum. So, in a small apartment, such a machine can become just a find - after all, it can even be squeezed into a corner somewhere by tightly moving it to the wall. How do the hatches of models with different types of loading differ? 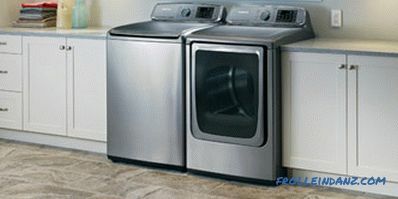 However, by making a comparison of washing machines with front and vertical load, you can determine which model is best suited for your home or apartment. They have a hatch (with a diameter of 23 to 33 cm) closed with a plastic or metal door with a glass window. During washing a special lock firmly secures it in the closed position. And only when the program is completed, the door can be opened (the automatic lock will be unlocked). 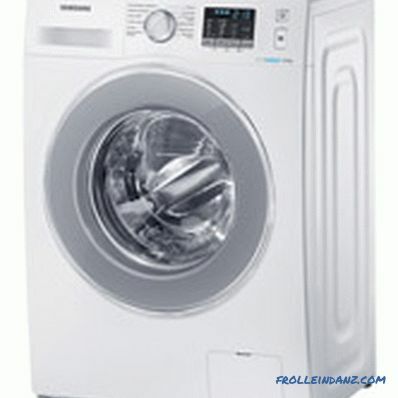 For ease of use of the machine, the size of the hatch matters - it is easier to put and get the laundry in a large hole. It is also important how widely the door can open - for simple models, the angle of its opening can be as little as 90 or 120 degrees, and for more “advanced” ones - 180 degrees. The rubber seal, called the hatch cuff, fits snugly around the entire perimeter. 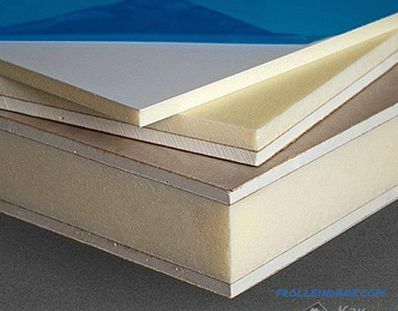 The absence of gaps and quality material does not allow a drop of water to flow out. It is believed that the rubber cuff can quickly tear, but this is not the case. Of course, it is possible to damage it, but it usually happens when the device is extremely careless. Rubber cuff for sealing the hatch. Washing machines loaded from above may differ structurally from each other. Most often there are models with a drum located horizontally. On the sides it has two symmetrical shaft, on which it is fixed. This design is especially in demand among European (especially French) consumers. And Russians, too, often buy just such a model.Loading and unloading of linen in them occurs in two steps: first, the outer hatch opens, and then the drum. Sashes with a simple mechanical type lock are provided on the drum. After all, it’s not always after washing that these doors turn out to be opposite to the hatch - simple models often commit this. Manually turning the drum to the desired point is not a great pleasure, and the developers took this into account. More expensive new models are equipped with a "drum parking system". This means that after stopping the drum will always be facing the hatch opening. The lock of the drum leaves. 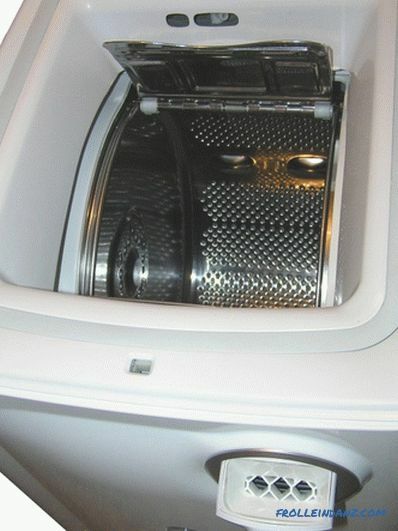 Open drum doors of the washing machine with a vertical load. Less common in our country, "American" models of large volume, allow you to load 8 - 10 kg of dry linen. They have a hatch in a drum that stands upright, but in the middle there is a special activator. There are also models of the "Asian" type, which also did not take root here. They, too, have a drum not horizontal, but vertical, but its volume is small. 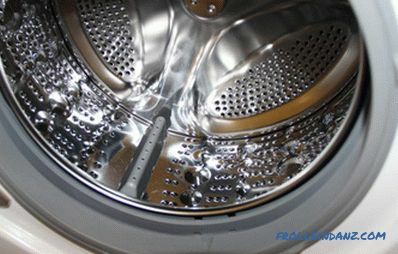 Often, these devices are equipped with a generator of air bubbles that help wash cleaner. In any case, so say the manufacturers. 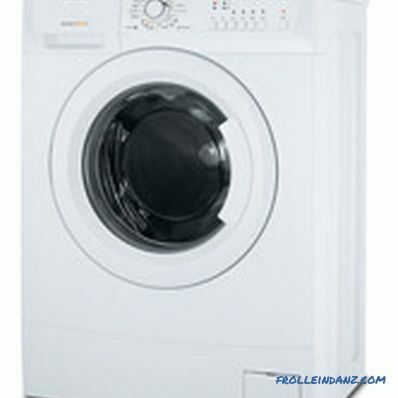 Automatic washing machine of an activator type with vertical loading. 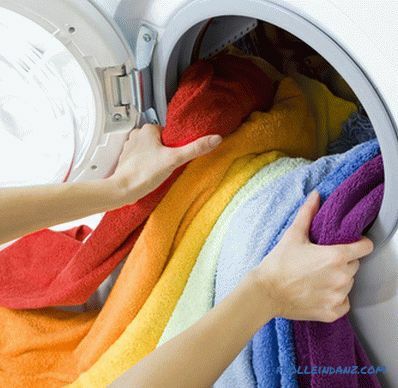 It is very convenient that on machines with a vertical load, you can pause the wash at any time to add things. And the water at the same time never pour out on the floor - because the lid opens up. This option is useful economical hostesses who can first put the dirtier things, and then - less soiled. And time will leave less, both powder, and the electric power. For front devices, buttons and sensor elements are on the front panel - the same as the hatch. Many models have a liquid crystal display. On the left side on the same panel there is mounted a dispenser having three compartments. Powder is poured into one of them, liquid detergent is poured into the other, and a conditioner or rinse can be added to the third. The dispenser is easily pulled out, so there are no problems with cleaning it. The upper horizontal plane for machines of this type is not equipped with either buttons or sensors. Therefore, it is quite possible to use it as a shelf, putting the necessary things in the household. If such a device is placed in the kitchen, then it is usually mounted under the countertop. So the hostess gets an additional working plane. Therefore, in the kitchen room front models can be found more often than vertical ones. Vertical CM control elements can be located differently. In some, they are all placed on the top cover panel, while others are on the side panel. The dispenser is usually located in the same place - under the lid. The downside when using such units is that the cover should be free to access. Therefore, these machines cannot serve as a shelf, nor can they be embedded under a tabletop. However, there are other options for embedding them in furniture - with an open top panel. 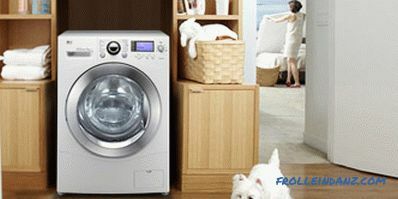 longer And in terms of reliability, which washing machine is better - vertical or frontal? For some reason, many are confident that front-loading devices can fail and break more often than vertical type machines. Like, the drum, which is attached to only one shaft, vibrates more. Accordingly, the bearing of this shaft carries heavy loads, therefore wears out quickly. 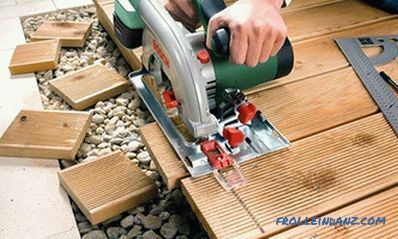 All this is not true - if the machine is properly assembled, then it will not vibrate excessively, and its parts will not require replacing for a long time. In any case, laboratory tests gave just such results. 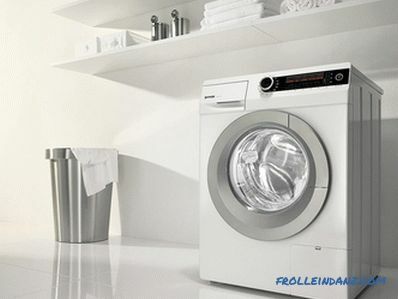 According to both experts and the vast majority of buyers, the design of front-mounted washing machines is diverse and interesting, and they look very advantageous. And the washing process, observed through the transparent window of the hatch, delays and carries away. In addition, the contemplation of washing has also brought benefits to many forgetful people. They managed to catch their passport, bundle of bills or rights, which can be removed in time, in a whirlpool of swirling linen. Before you go to the store to choose a car model, decide where you will have it. 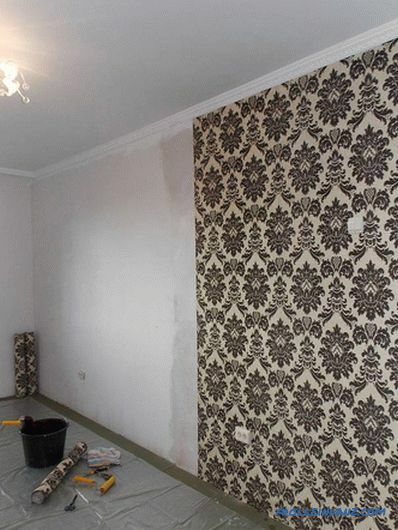 Perhaps you want to embed it in the furniture - then you need to make accurate measurements. However, for a detached device should also delineate the desired space. Whether a viewing hatch is necessary, allowing a detailed view of the washing process. Small apartments often do not allow to place a front-facing typewriter in them. There is not enough space to open the door, and it does not fit the width. In this case, choosing a model with a vertically loaded laundry can be a good way out. If we are talking about embedded technology, then, as already mentioned, a front-loading model is better suited. Now let's highlight the security issue. Here are the leading vertical units. True, leadership is more theoretical. It is based on the fact that water cannot accidentally spill out of such a machine. But the presence of the hatch on the front of the front devices - a risk zone. After all, there is a possibility (as practice has shown, insignificant) that it will depressurize and water will spill out onto the floor. And if such a unit breaks down, it is imperative to wait until the master arrives - you cannot open the hatch yourself. If the machine is broken with a vertical load, you can safely open the lid and get things. Next is the price. In front models it is significantly lower. Their design is more diverse, and the dimensions are for every taste. 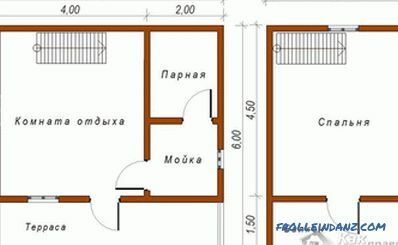 Therefore, among Russians, they are more in demand, occupying up to 85% of the market. European and African countries, too, mostly buy them, but the Americans are more pleased with the vertical load. In Australia and Asia, both types of machines are sold about equally. 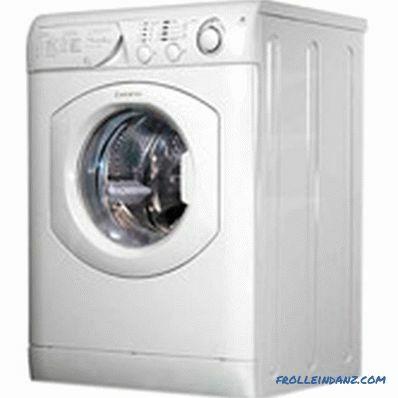 However, for the quality of washing it does not matter whether the vertical or front washing machine will be chosen by you. And those, and others with the business cope "perfectly well". After all, these technologies have now reached considerable heights.